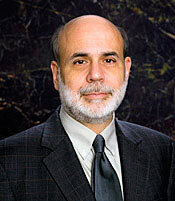 Apparently while the chairman of the Federal Reserve was trying to watch our money, someone was trying to take his. As the story points out: no one is immune from these crimes. WASHINGTON — If ever there were living proof that identity theft can strike the mighty and powerful as well as hapless consumers, look no further than the nation’s chief banker: Ben Bernanke. The Federal Reserve Board chairman was one of hundreds of victims of an elaborate identity-fraud ring, headed by a convicted scam artist known as “Big Head,” that stole more than $2.1 million from unsuspecting consumers and at least 10 financial institutions around the country, according to recently filed court records reviewed by NEWSWEEK. Posted: 8/27/09 at 7:31 AM under News Story.